(CBS/AP) LOUISVILLE, Ky. - Taco Bell declared victory Tuesday in a legal beef over what the restaurant chain really puts inside the bun. An Alabama-based law firm has dropped its class-action lawsuit that challenged Taco Bell's right to call its taco and burrito filling "beef." The two sides still differ, though, on the real reason the lawsuit is no longer simmering. The law firm Beasley Allen, based in Montgomery, Ala., claims it dropped the suit after Taco Bell made changes to its marketing and product disclosure. Taco Bell CEO Greg Creed countered that the chain made no changes to its products or advertising and didn't discuss such possible changes with the plaintiff's lawyers. The chain said the allegations were "absolutely wrong" and the suit was voluntarily withdrawn by the firm. "This is a victory for truth over fiction and we're glad the lawyers voluntarily withdrew their case once they learned the truth," Creed said in a statement Tuesday. Here's the meat of the matter: The false-advertising lawsuit alleged the chain's filling doesn't have enough beef to be called "beef." It alleged the meat mixture has binders and extenders and does not meet federal requirements to be labeled beef. The suit sought to make the company stop calling it "beef," and pay the suing law firm's bill. Taco Bell says its filling contains 88 percent USDA-inspected beef and the rest is water, spices and a mixture of oats, starch and other ingredients that contribute to what it calls the "quality of its product." 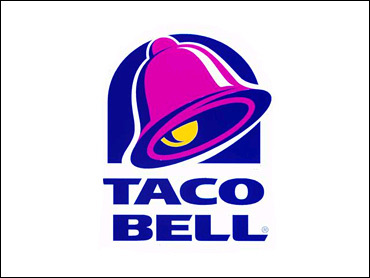 Taco Bell spokesman Rob Poetsch said the chain has always reported its product ingredients on the company's Web site. Taco Bell said no money was exchanged as a result of the suit being dropped. Taco Bell spent up to $4 million in advertising to counter the accusations made in the lawsuit, CEO Creed said. Laura Ries, president of Ries & Ries, a marketing strategy firm based in Atlanta, said the chain had to respond to such serious allegations, but said the ads were simply "repeating the message that something was wrong." "They probably fought back harder than they had to with all that massive advertising," she said.